They aren’t hard to make, nor are they terribly expensive. 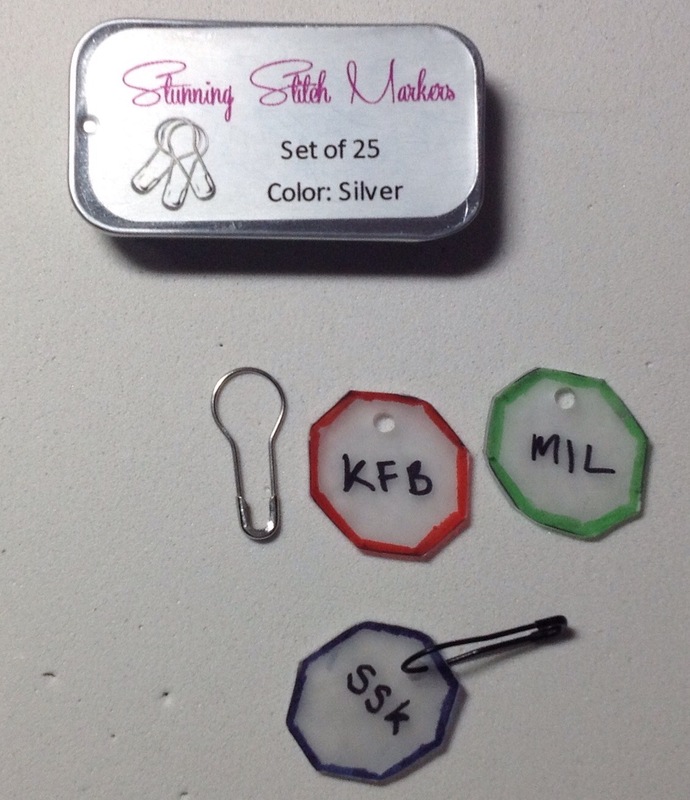 All you need are shrinking plastic, permanent markers in several colors, a single hole punch, scissors, Locking stitch markers, and a shape to trace that is about two inches by two inches (I used a salt shaker which has an octagon for the bottom). First thing you do is trace your shape on the sheet of shrinking plastic several times and cut them out. Decorate them any way you want. What I did was outline each different stitch in a different color, then in black, I wrote the stitch name on the piece. Then, with the hole punch, punch a hole in the top. After that is done, follow the baking directions on the box to bake the pieces, watching them carefully to make sure they don’t burn. (The smell is AWFUL!) Take them out and let them cool. Insert the locking stitch markers and voilà! There you go! If you want to be a little neater:printable shrinking plastic. I’ve not tried the printable stuff yet, but it should work! This entry was posted in knitting and tagged DIY, knitting, stitch markers.